Does more freedom mean braver work? "In today's global B2B market, competition has never been fiercer. Brands should use every opportunity to differentiate themselves and engage audiences through braver, bolder content and campaigns. But how?" 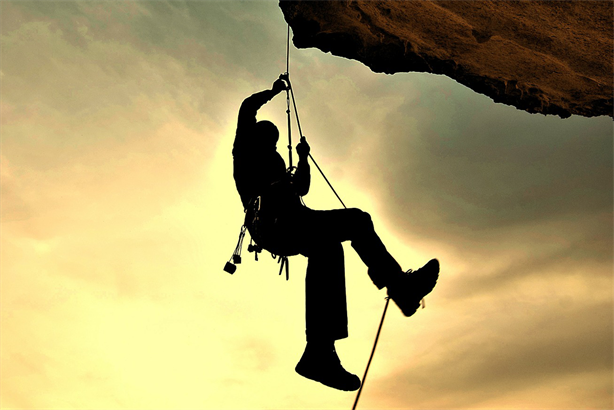 How brave are B2B PRs? Business is moving so fast that ‘playing it safe’ with comms is likely to just yield the same old results. This poses a serious problem for PR departments: a ‘brave’ business decision is often a euphemism for a risky one – that might cost you your job. Octopus Group, in partnership with B2B Marketing, surveyed 190 B2B marketing comms specialists globally, of which 41% were directors or above, to scrutinise the benefits of bolder marketing, and how best to encourage a braver approach to risk-taking. As Figure 1 shows, 57% of respondents think the most important aspect of bravery is the ability to challenge decisions, followed by innovation, risk taking and seizing opportunities effectively. Yet while many understand bravery to mean standing up for ideas and challenging decisions, this appears to be at odds with how marketers and communications specialists are told to behave. Just over a third (35%) feel that their organisation accepts failure as a part of the innovation process, with a quarter (27%) believing they are not allowed to fail. Only 40% feel actively encouraged to take brave decisions – so it’s perhaps little wonder that bolder work isn’t being produced. Fear of reprisal largely holds them back. This rings true for the PR sector. Despite it being an industry that runs on creative energy and the willingness to pitch a longshot idea, when it comes to suggesting something entirely new or different, a lot of comms professionals are more likely to be shy and retiring – qualities they’d never normally demonstrate elsewhere in their professional lives. Indeed, only 13% state that their appetite for brave decisions has increased in the last year – in spite of the many obvious changes to the industry – with 13% saying appetite has decreased and 61% saying there had been no change. The good news is that 93% of respondents said that they would be more willing to make a brave decision if they were assured they would not suffer consequences in the event of failure, and more than half believe that bravery can be learned. So it’s clear that a widespread culture and attitude shift is required. So how do we set up the conditions for more brave and bold work to thrive? Most respondents (63%) said that greater acceptance of failure in the pursuit of new ideas is the main thing organisations could do to encourage staff to be braver – ahead of offering more freedom to take the initiative (59%) and more training (47%). But would more freedom really mean braver work? More freedom doesn’t automatically mean behavioural change – and it won’t lead to an upswing in brave decision making overnight. A shift in mindset is key. By celebrating failures as well as wins, you’ll prove that the culture really does support improvement through trial and error. It’s also crucial that every failure is communicated and learned from as a means to take the team one step closer to success. Share what was learnt during the process and get the team to generate more ideas on the back of it. Most of all, be positive and communicate that there is no shame in falling short the first time around…as long as the lessons are learnt to make the subsequent initiative a success..
A Maersk container ship pulled into port with a dead whale straddling its hull. Maersk could have kept closed-lipped. But honesty is often the best policy. By posting the whale’s plight on Facebook and detailing how they take as many precautions as they can to protect wildlife they amassed more than 2.5 million followers, unheard of in their industry. Netsuite don’t beat around the bush. They went straight for Sage with bold advertising in the UK newspapers. Netsuite CEO Zach Nelson lead the charge by engaging new Sage boss Stephen Kelly in a bit of Twitter banter. US building merchant 84 Lumber created a storm with its cheeky TV advert for this year’s Super Bowl. Their bravery to broach a politically sensitive subject was rewarded. Within one minute of the advert airing, the YouTube version had 300,000 views and has since had more than 11 million views on YouTube. If you’re thinking about doing things differently in 2018, contact Octopus Group.